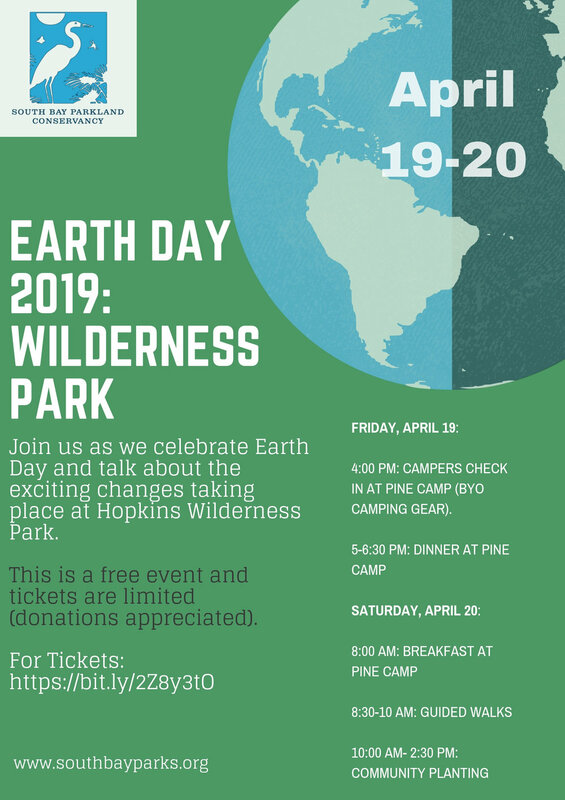 This Friday and Saturday, join in with members of the South Bay Parkland Conservancy as we celebrate Earth Day and talk about the exciting changes taking place at Hopkins Wilderness Park. We'll have food, camping and opportunities for community service and outdoor learning. This is a free event, but tickets are limited, so RSVP soon to guarantee your spot. We would love to have you out with us! 4:00 pm: Check in for campers at Pine Camp (BYO camping gear).